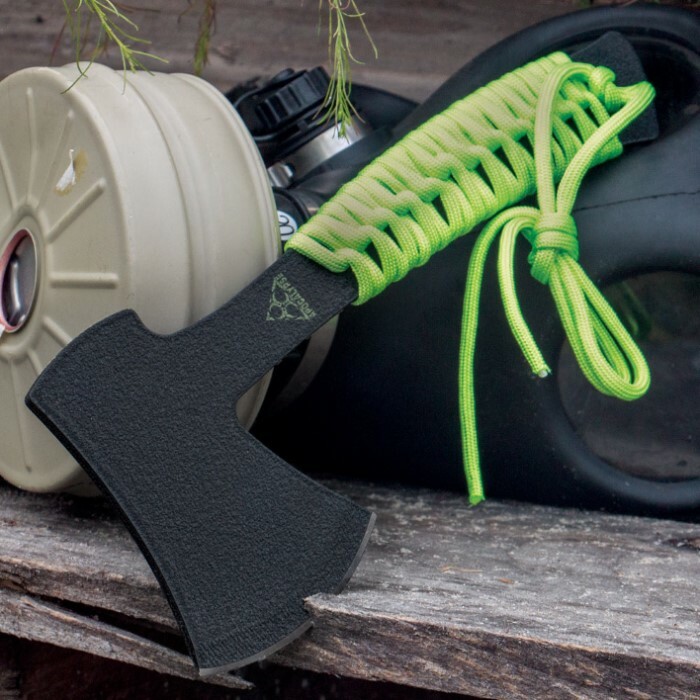 You'll definitely want this Zombie hatchet by your side in the event of an apocalypse! The razor sharp hatchet head features a non-reflective anodized black coating which helps prevent rusting. The 300 lb. paracord provides a comfortable, secure grip for the wielder and can also be unraveled for extra paracord and/or rope when needed. 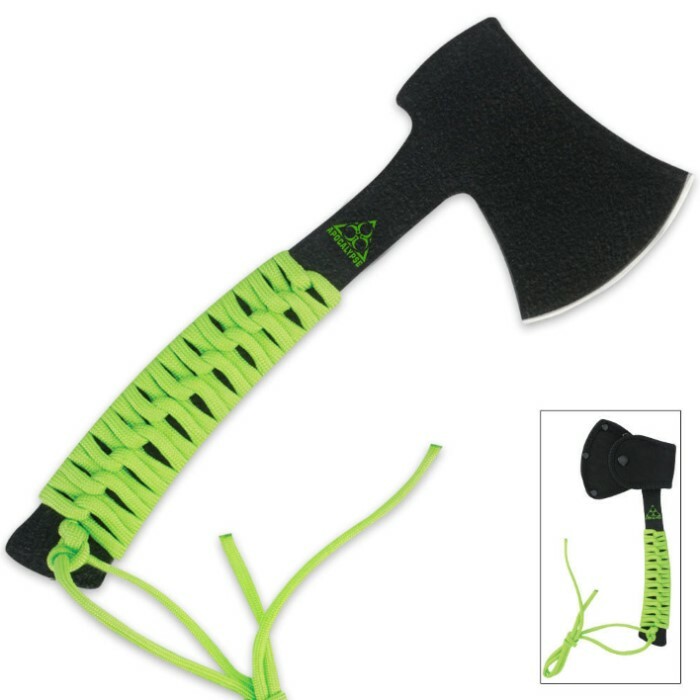 Includes a nylon belt sheath, measures 8 1/2" overall.